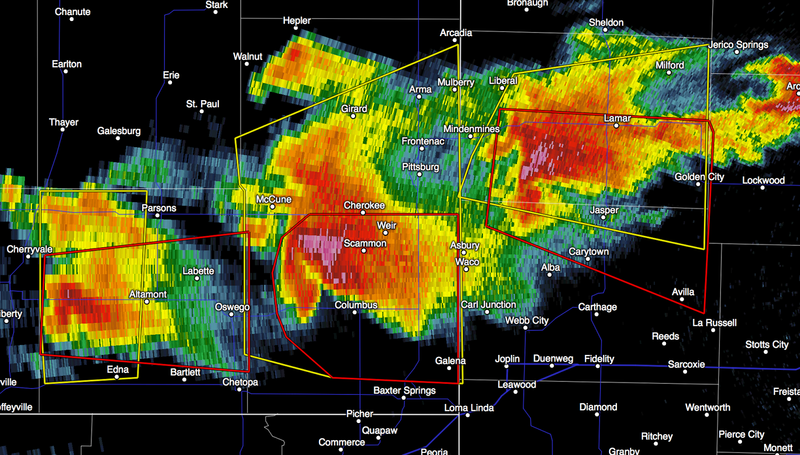 Three tornado warnings (red polygons). Please take cover in the warned areas. Remember, tornadoes are difficult to see at night. Take shelter; don't try to see the storm.